How do I Become a Clown? 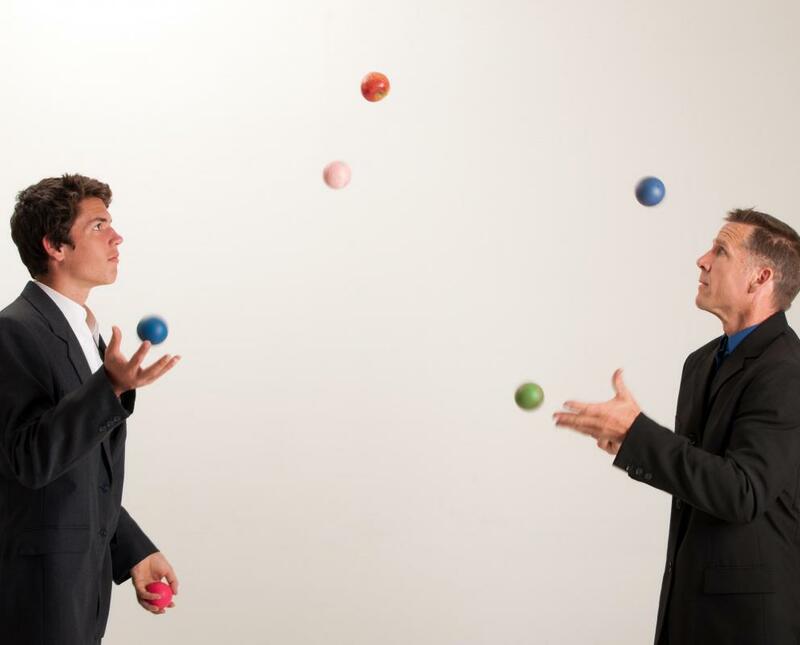 Clowns usually have highly visual skills like juggling. If you want to become a clown, it's a good idea to start by studying all types of these entertainers, such as those in the circus, the kind in parades, and even French-inspired mimes. Physical comedians are also clowns in a way. You could watch old films as well attend different events that feature clowns. Seeing all of the different clown characters can help inspire you to develop your own unique performing persona. You'll need to be the wacky character of your own invention, including makeup, costume, props, gestures, and actions, that makes people laugh if you want to become a clown. Spend some time in creative brainstorming sessions with just yourself plus pen and paper. Jot down ridiculous, wildly hilarious clown character ideas, but try to pick out only the best ones. As you develop your ideas to become a clown, you may want to think about funny situations involving absurd irony as these tend to work well in the "larger than life" world of clowning. For example, gigantic ears could be a part of a clown's ridiculous costume, yet one of his or her gestures could be placing a hand near an ear to signal not being able to hear anything. You should also work on mastering a highly visual clown skill such as juggling, riding a tiny bicycle, or perhaps your own new take on a classic clowning activity. Taking classes from a clown school in your geographical area can be a fun way to get yourself into the world of clowning, as well as start networking with people who share your interest. Beginning classes usually focus on character development, while more advanced clown courses tend to be devoted to creating and polishing comic routines. You can certainly start to become a clown part time, as most of these schools offer weekend workshops. 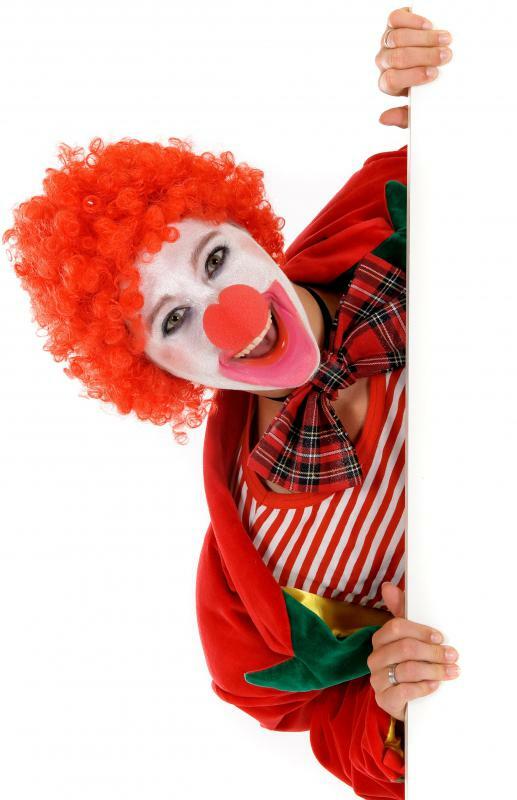 Once you've completed a few clowning classes, you're likely to be able to start getting weekend gigs such as at children's birthday parties or community sports events. As word of your service grows, you could soon find yourself with as much work as you can handle. Keep in mind though, that like any business, you'll have to constantly market and advertise your services. Whether than means handing out colorful flyers when dressed as your clown character, placing ads in the local newspaper, or some combination, you should always be visible in your community. For example, many full-time clowns drive a decorated vehicle with their character name and business phone number clearly readable. How Do I Choose the Best Funny Business Ideas? What Are the Best Tips for Throwing a Circus-Themed Party? What is a Clown Triggerfish? How do I Overcome a Fear of Clowns? What does a Balloon Maker do? What does a Clown do? anon67852: Your feedback on the article is much appreciated, however, this article, "How Do I Become a Clown?," is focused on beginning in the world of clowning and not on "advanced clown courses." It would be great if you can add comments about "what being a clown really can mean" in terms of how to "free yourself instead of playing a character." It sounds as if you have much knowledge and experienced in the world of advanced clowning, so your input on the subject would be very valuable to readers! I look forward to hearing from you. Unfortunately the article focuses on professional entertainers, and completely misses what being a clown really can mean. Advanced clown courses tend to be devoted to abandon routines in order to free yourself instead of playing a character.